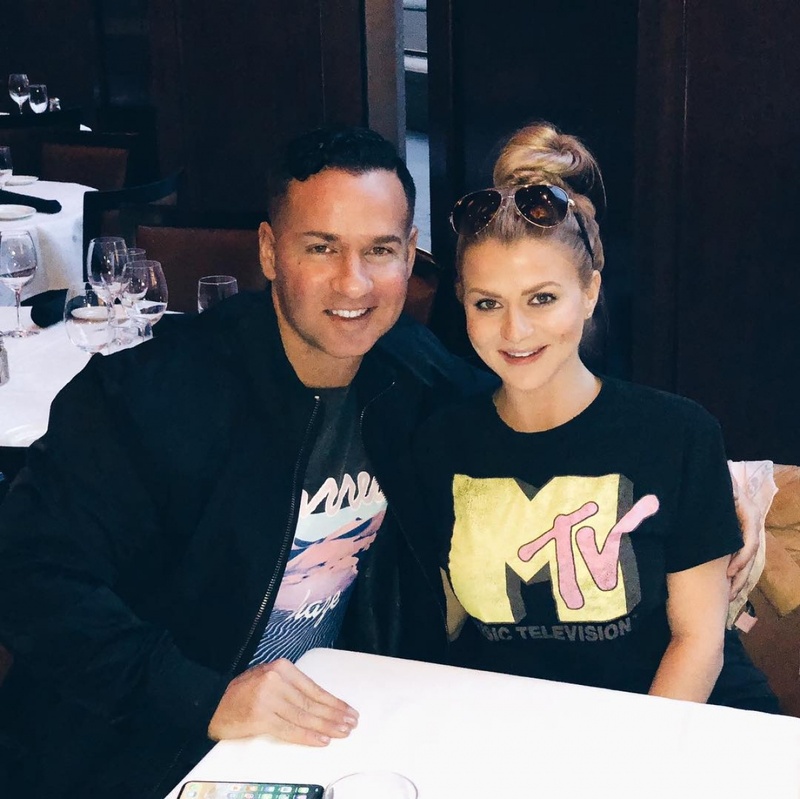 Mike "The Situation" Sorrentino was shown proposing to his longtime girlfriend on Thursday's episode of "Jersey Shore: Family Vacation" on MTV. The 35-year-old, who had already announced his engagement in April, thanked his co-stars Thursday on Twitter after he was shown popping the question to Lauren Pesce on the MTV series. "So much love for my roomies! Thank you for helping me pull off an epic engagement! @JENNIWOWW @DJPaulyD @VINNYGUADAGNINO @snooki @DeenaNicoleMTV @RealRonnieMagro #JSFamilyVacation," he wrote. Jenni "JWoww" Farley, Paul "Pauly D" DelVecchio, Nicole "Snooki" Polizzi, Ronnie Ortiz-Magro, Vinny Guadagnino and Deena Nicole Cortese helped prepare while Sorrentino and Pesce were at dinner. The couple returned to the house, where Sorrentino played a slideshow for Pesce before getting down on one knee. "You're my best friend, my college sweetheart, my better half. You make me a better person. Please make me the happiest man on earth. Will you please marry me?" he said. Pesce said on Twitter that Sorrentino and his co-stars pulled off her "dream proposal." "My dream ring, dream man & dream proposal! Couldn't have asked for anything more! Thank you my love @ItsTheSituation and to your amazing friends that went above & beyond for us in Miami! We are SO Blessed!" #JSFamilyVacation," she wrote. Sorrentino and his co-stars came to fame on the MTV series "Jersey Shore," which ended in 2012 after a six-season run. The cast returned for "Jersey Shore: Family Vacation," which will air its Season 1 finale June 28.